Two thoroughly nice chaps you’d safely take home to mother. Two Cambridge choral scholars and occasionally camp satirists at pains to remind you they’re heterosexual. 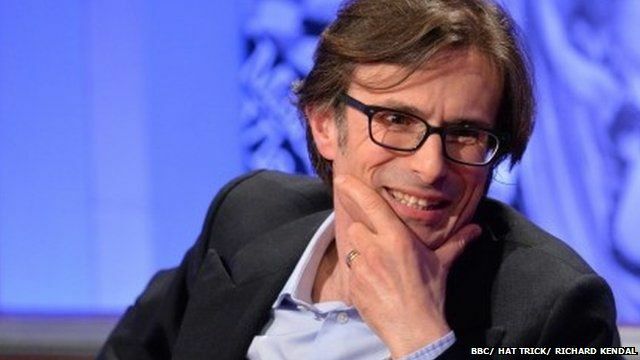 One a bit shorter and blonder, one a bit like Robert Peston. Let’s first accentuate the positive and say that they sing effortlessly, possibly with more technical accuracy than most contemporary comedy cabaret and they acknowledge that their success is accidental, following a series of private and corporate parties at Number 10 or Highclere Castle. Bounder and Cad both have day jobs – Adam Drew develops film scripts, Dr Guy Hayward researches the links between music and walking gait and promotes a series of curiously Chauceresque pilgrimages around Britain. The current act has a repertoire of a dozen songs well-delivered and ranging from the purely classical to pop and show tune, but of dubious topicality: a version of ‘Me and My Shadow’ parodies the Clegg and Cameron coalition, but wouldn’t pass muster on ‘The Now Show’. Their best piece ‘The Flour Duet’ is a choice contrapuntal between Mary Berry and Paul Hollywood but that cake feels staler now their BBC partnership is over, and on the very day Article 50 was triggered, the best they could come up with was a funny but two-years-ago duet between Angela Merkel and Alexis Tsipras about the Greek debt crisis. You just know Kit and the Widow would have scrawled something more sharp and topical on their shirt cuffs an hour before the performance. Because their humour is free from contemporary savagery, everyone says ‘oh, they’re like Flanders and Swann’ as if many can remember the piano-and-wheelchair-bound pair of gents who last performed together in 1967. But actually Tim FitzHigham and Duncan Walsh-Atkins have already mined that seam of ‘two posh blokes in dinner jackets’, for longer than Flanders and Swann did themselves. Much as I love and respect the pioneering work of Adele Anderson and Dillie Keane with Fascinating Aida to whom Bounder and Cad also pay homage – they are also approaching the stage of their careers when they may consider whether it’s worth flogging the old Peugeot round the shires every winter to stay in a succession of Travelodges and entertain the people they’ve already entertained before. Trying to give feeback in a positive way – their Teddy Bear’s Picnic song lampooning modern preferences for quinoa and quiche is genuinely funny, but it’s a cardinal error to repeat the same words in two choruses of a patter song, particularly when it would be fairly easy to write a fresh set. There’s a certain shuffling on stage which looks like clumsiness but could be sorted out by a director, but the most fundamental problem is there’s too little differentiation between the onstage characters. For a double act to succeed, even without resorting to the Music Hall convention of straight man and comic, you have to vary the personas. As pairings coming from similar backgrounds Fry and Laurie, Armstrong and Miller, Mel and Sue, French and Saunders, even – heaven help us – Ant and Dec all learned this early on: one of you plays the more serious, pompous or pedantic role and the other sparks off it with the cheeky sarcasm. Early days. If Waitrose did cabaret, this could be it: but in the harsher competitive arena of the urban comedy and cabaret circuit, we’d welcome something more pointed. Bounder and Cad: Implicit Content, Crazy Coqs/Live at Zédel, London W1. 29 March 2017, 9pm.